One of the most interesting and possibly generous offers in the history of the Internet has recently been extended by Google to promote its new Google checkout service, and since the offer is only on for the next ten days or so I thought I should probably let you know in time to take advantage of it. 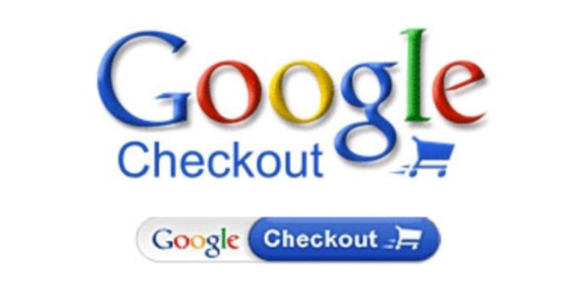 Google Checkout has recently been designed to act as a third party between retailers and their customers on the Internet.Such a service looks like it could prove very popular now that many are cautious of giving Internet sites their card details.The idea is that instead of giving out your card number when shopping on a website, you instead add your items to the shopping basket in the normal way, and then when you’re ready to pay you get transferred to the Google Checkout site.You sign in to your account using your e-mail address and password, choose which nominated card you wish to use and Google then forwards payment to the merchant whilst keeping your card details confidential. The more astute amongst you will note that the principle already exists in sites such as PayPal and Nochex, however, from a sellers point of view these existing services are numerously flawed which has let to very few retailers choosing to adopt them. The existing platforms, for example, offer the retailer very little protection against fraudulent transactions and additionally cost a comparatively large amount of money when compared with having a dedicated merchant account with the bank. The only truly successful service of this nature has been PayPal, however the only real reason behind this being that PayPal are owned by eBay; as such the majority of eBay actions include PayPal as a payment method.This allows eBay to squeeze every last drop out of their sellers making it unsurprising that Google Checkout has been banned as a payment method on all eBay auctions.As a side note I predict this as being an extremely unwise move; it must only be a matter of time before Google creates a better funded, and most likely superior version of eBay as retribution. I do feel obliged to point out that most websites on the Internet don’t have access to your card details anyway so just because a site doesn’t accept Google checkout doesn’t mean they are necessarily unsafe.Our website for example has always liaised securely and directly with our merchant bankers – All we get off them is an authorisation code; no one here EVER has access to your card details.Although not all retailers work in this fashion it is my understanding that the vast majority do. We have been informed that the offer ends on the 11thJune so it certainly is worth making a move now if there are any products that you wish to purchase from retailers accepted by the scheme.It is worth noting that you can order as many times off as many different retailers as you wish and as long as your order is over £30 before postage then you genuinely will get £10 off every transaction.Google Checkout is completely free of charge and if you decide that the service isn’t for you after taking advantage of the discounts then you need never use it again.